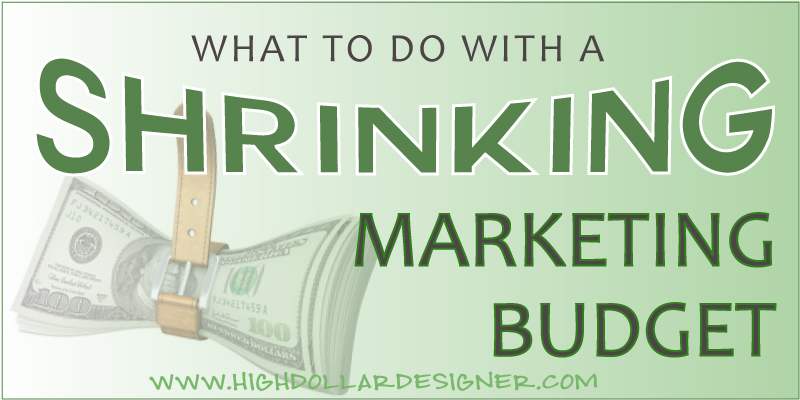 I used to cringe when I’d hear people insist that the best time to put your shrinking dollars into more marketing is when you’re down or slow. Well, if you have fewer customers and less money coming in, how do you put more money into marketing? It wasn’t until I experienced it for myself that I learned this all powerful lesson many years ago. If you had a good marketing strategy before the world changed in September of 2008 then yes, keep investing. However, if those marketing strategies are not working today. . . (which I’m guessing is the case) then it is important to remember to continue marketing, but you’ll want to stop and think carefully about what needs changing. The definition of a marketing strategy for me is = finding EFFECTIVE ways to promote your business. And the real key today is to do it CONSISTENTLY. Now is not the time to experiment in the dark. There are many ways to market and get immediate and measurable results with less cost. Do these first! Make a plan, set a small budget and start working it. . .
1. Set aside time to do a marketing review of what you’re doing now. 2. What are you doing currently that gets you measurable results? 3. What marketing are you doing now that can’t be measured, has unknown results or you’re doing it because you “always have”? 4. Make appropriate budget changes. 5. Join LinkedIn NOW and start connecting with potential customers and partners. 6. Sign up for Facebook and Twitter. The new way to connect with potential customers and other professionals is social media marketing. 7. Do you have a blog? Put one up. It’s FREE and easy to do with www.WordPress.org. 8. Start adding content to your website and blog. 9. 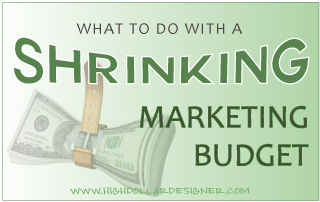 Make a marketing plan with a budget. All business thrives on getting new customers. There are many ways to market your business that are FREE today. Take this time to learn about online marketing for instance. Now’s the perfect time! And if you’d like help with establishing a marketing plan that works and is effective, get in touch and we’ll schedule a complimentary “Get Great Clients Consultation” and see if we would be a good fit to work together. Don’t wait! Aren’t you ready to finally start working with great clients? Now’s the time! Great post! 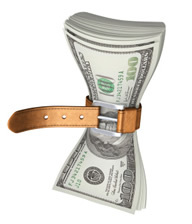 I am a web designer and a GC in FL, so I understand sweat equity builds companys not money all the time! Sweat and the moeney will come! I do enjoy your articles – As someone who feels somewhat Neanderthal about becoming more efficient with all the social media 2013 is the year to overcome my hesitations. This year I am committed to LEARNING IT AND USING IT. Appreciate your assistance and support – Judy.